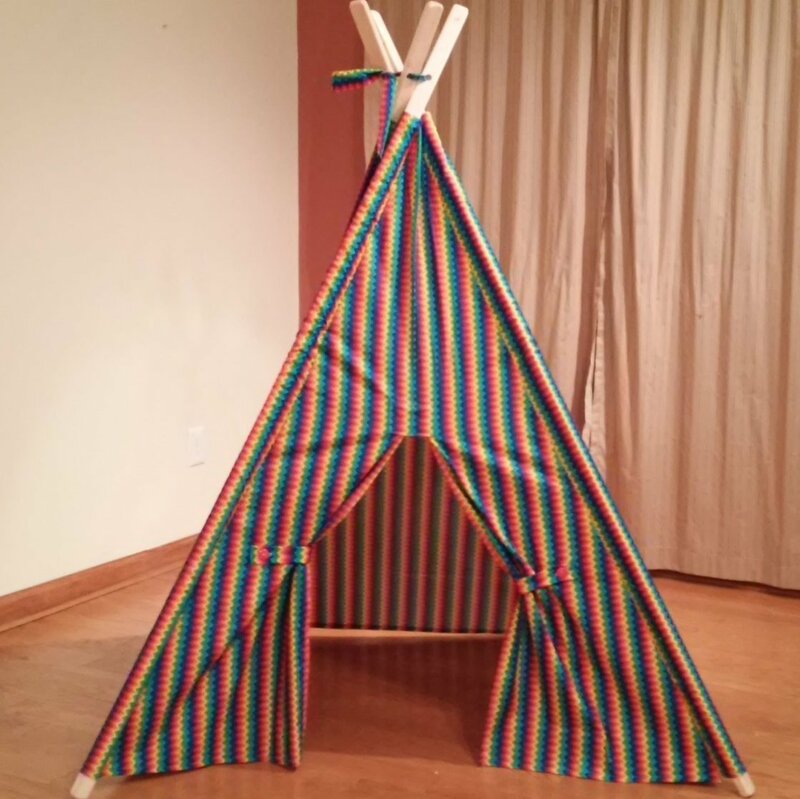 Featuring a rainbow chevron print and tie backs, this tent makes the perfect last minute gift. Our play tents are handcrafted with serged seams for years of enjoyment. Planed and sanded pine poles are included with all of our tents!